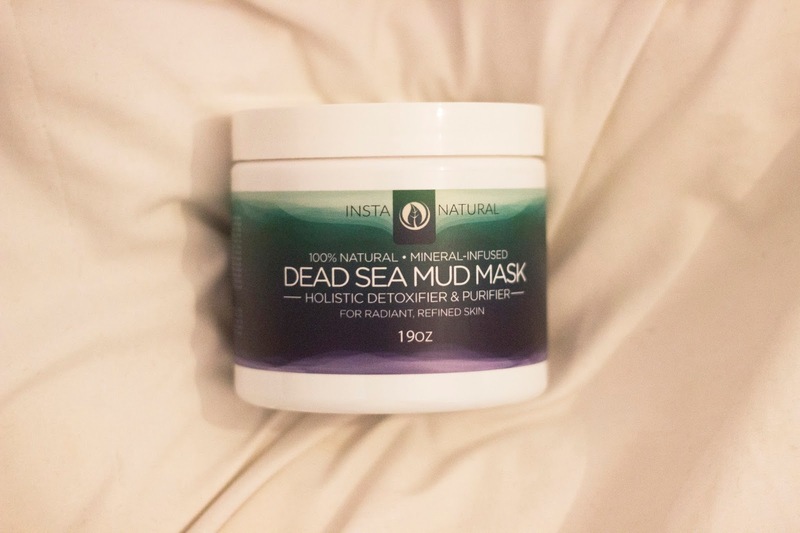 Maaaan, I love me some facial masks, so was pretty psyched when InstaNatural kindly gifted me with a 19oz pot of absolute joy. 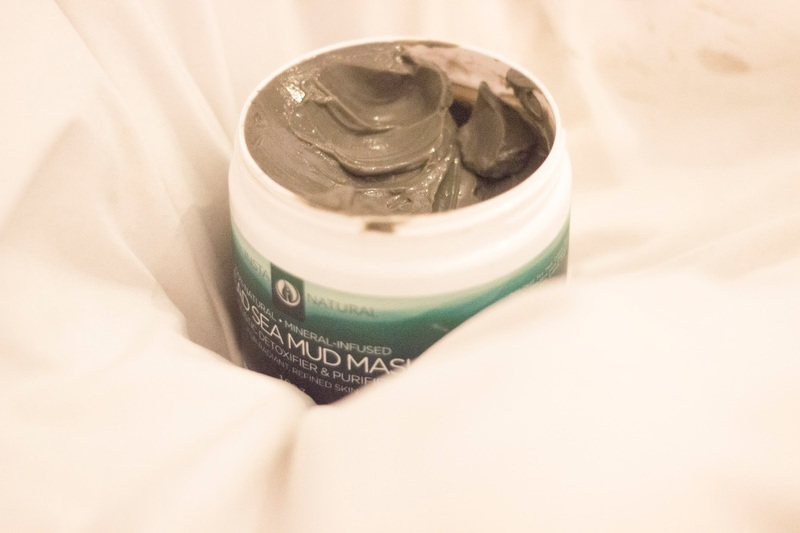 Since I've grown the balls and started shunning away any product that contains anything from animals, or that has been tested on animals, I've obviously had to ditch some beloved products in search for cruelty free ones, and InstaNatural Dead Sea Mud Masks are just that. So, my boyfriend and I have both used this now, and really like it. The consistency of the mud mask is so strange whilst in the pot and first application, it's wet and putty-like (Which makes for an amusing sound, especially when drunk haha). 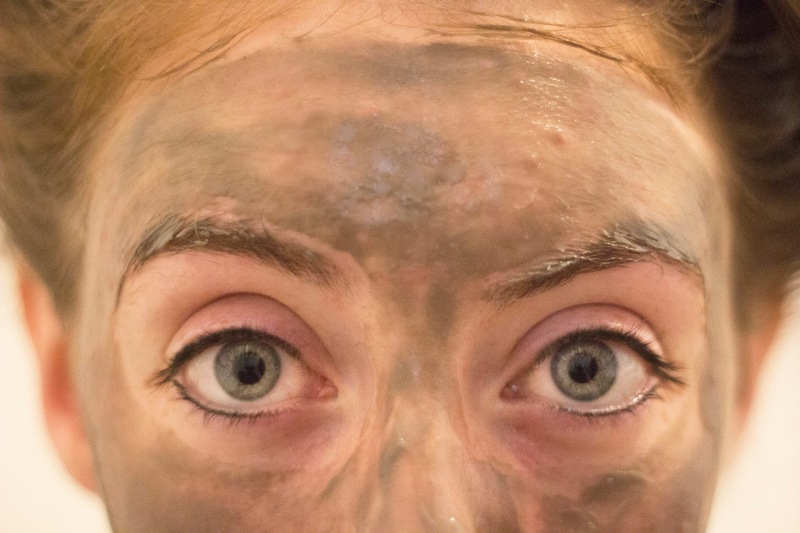 Once you've applied it, leaving the eye and lip area out, and left it for around 15 minutes, it dries and is clay-like, which makes your face SO stiff, it's funny trying not to laugh with it on, ouch haha. Aaand the dry, clay-like consistency after 15 mins on my boyfriend, Karl! As previously stated, this product is 100% natural, and is totally animal cruelty free, which is what I adore about this product the most. 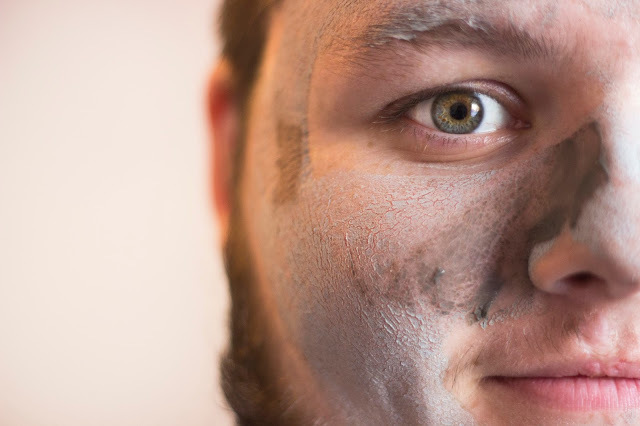 Also, it's supposed to really help with acne blemishes, which I struggle with quite a bit, so I'm excited to see, as time goes on, how much it helps. Normally when I try new products my skin gives my grief and I wake the next day with big red lumps everywhere, but I was surprised to see that this didn't happen with this, so sounds promising! Be sure to check them out, and myself on social media, which I'll link down below! See you next week, lovelies. Look out on my YouTube channel for exciting collaborations with ChiChi London, and an awesome Make Up Revolution video! *I have not been paid for this blog post, or my opinions, and they are completely my own. I was given this product for free, though would only post my honest, unbiased views.